A "huge flock" of jackrabbits in a Fargo, North Dakota, neighborhood has homeowners feeling jumpy. 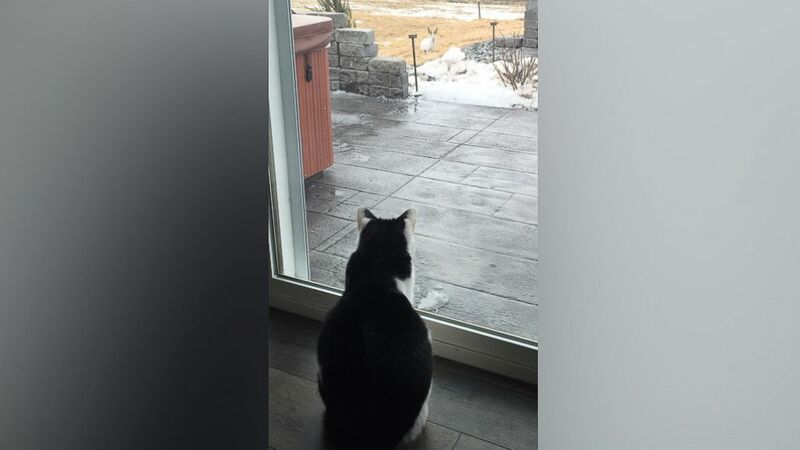 More than 50 jackrabbits the size of small dogs have been hopping around backyards and a park of a new development in South Fargo, resident Kayla Straabe told ABC News today. "Every day, I feel like the crazy rabbit lady chasing them out of the yard where they're having a hay day," Straabe said. "There's at least 40 to 50 everyday, and they're in our yards and by a children's park." 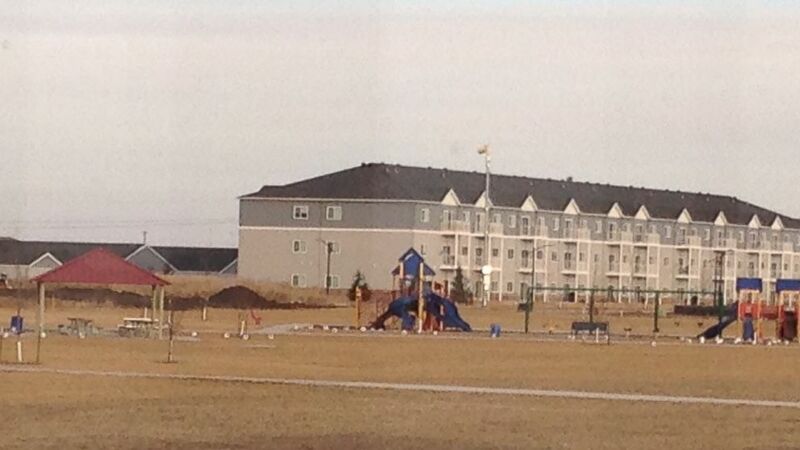 (Kayla Straabe) Jackrabbits dot the ground near a playground. "I was told we should poison them, which I will absolutely not do," Straabe said. There is no city ordinance that deals with depopulating rabbits in the area, Fargo Police Lt. Joel Vettel told ABC News. "I can't imagine someone would suggest poisoning the rabbits, but it's true we don't have anything in place to allow us to deal with the rabbits," Vettel said. "What residents can do is start a formal process to get an ordinance, which is usually done at committee meetings." (Kayla Straabe) Kayla Straabe's cat stares at a jackrabbit in Straabe's yard. Straabe said the critters were cute at first when a few appeared about two to three months ago. But now, they're frustrating, she said, noting they've multiplied and that they are now leaving their droppings everywhere and devouring trees and shrubs. Female jackrabbits can bear two to four litters each year with one to nine offspring in each litter, according to the Northern Prairie Wildlife Research Center.